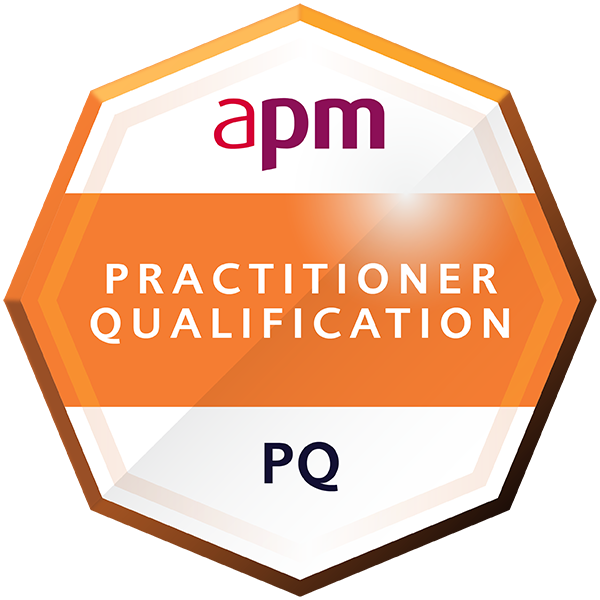 This badge earner has been awarded the APM Practitioner Qualification (PQ) by APM, the chartered body for the project profession. The badge earner can demonstrate the ability to manage non-complex projects. The APM Practitioner Qualification (PQ) is a competence-based assessment that assesses the key elements of managing a non-complex project including planning, scheduling, monitoring project progress and effective team working.